Jane Tully, the Trust’s director of external affairs, reflects on a busy year for the debt advice sector. It has been quite some year for those of us working in debt advice – with debt hitting the headlines in a way not seen since the financial crisis, and services under pressure. 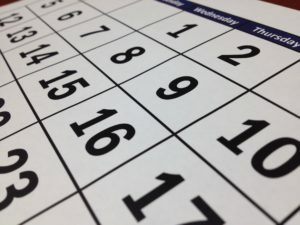 If you’ve found it hard to keep track (like the rest of us! ), here’s a round-up some of the key developments over the past 12 months…. Mark Carney started the year by cautioning that the Bank of England would be ‘keeping a close eye on consumer spending’. By July, officials were insisting that banks hold more capital and warning of a ‘spiral of complacency’. Come September lending was positively ‘frothy’(! ), with consumer credit noted as a ‘pocket of risk’. A quick glance at the trend-lines and it’s easy to spot the concern – rising inflation, sluggish wage growth despite record low unemployment and soaring consumer credit – now more than £204 billlion – were making people nervous. Then came the first interest rates rise for 10 years. While it wasn’t a surprise, it will have challenged people on tight margins. Meanwhile, over in Westminster, THAT election and the ensuing fallout brought ample opportunity to politicise debt. First, the newly appointed Treasury Select Committee got in on the act by announcing a review into Household Debt. Then the emboldened opposition – spearheaded by John McDonnell – announced a radical policy on capping credit card debts. Along the way there were a few skirmishes in the House of Lords on breathing space – and as if that isn’t enough, there’s a possible National Audit Office (NAO) review and Public Accounts Committee scrutiny – in the offing. The House of Lords Financial Exclusion Committee moved on this important agenda, too, securing a new Financial Inclusion Policy Forum from the government in response. We’ll be watching to see what action flows from this. The impact of economic trends has been felt most acutely at a household level – with a growing number of people seeking debt advice. Calls to National Debtline are up 10% on last year, and Business Debtline up 12% – with all of the debt charities reporting similar. Worryingly, our advisers tell us that people’s situations are more complex than in the past with people increasingly reporting intractable debt and uncertain incomes. Insolvency figures are up too – although I suspect the recent rise in IVAs is due to questionable shifts in the debt management market, as opposed to reflecting a wider trend. With Brexit dominating the government’s schedule, some credit must be given to DWP and HMT for fitting the FG&C (Financial Guidance and Claims) Bill into one of the limited slots on the legislative programme. This Bill will create the framework for the new SFGB (Single Financial Guidance Body) which brings together MAS (Money Advice Service), TPAS (The Pensions Advisory Service) and PensionWise from Autumn 2018. In the absence of the usual range of parliamentary business, the Lords have enjoyed getting their teeth into this one. The Bill changed significantly there, and we and others involved in discussions with Peers have been pleased to see it leaving the upper chamber significantly stronger as a result. The Bill reaches the Commons in January, where officials will no doubt be hoping it will get an easier ride.  Despite the SFGB’s arrival next year, the Money Advice Service, under a new chief executive, Charles Counsell, has achieved considerable progress (after lengthy consultations!) in a number of key areas – notably commissioning and funding. The final Commissioning Strategy places a welcome focus on quality – and signals possible big changes to the delivery landscape in the years ahead. At the same time, Peter Wyman’s much-needed independent review of funding will hopefully help to streamline the sector’s funding in a way that supports the customer journey. And while we await the reviews findings in Spring, we are keeping our fingers crossed for some good news for the sector on funding in the draft MAS 2018 Business Plan. 2017 marks Andrew Bailey’s first full year at FCA, where he’s shone the spotlight on the regulator’s role in addressing consumer detriment. He and his senior team have visited advice agencies up and down the country (including to National Debtline), to hear first-hand the challenges people are facing. This listening exercise has since been reflected in their high-profile mission and consumer approach work. High cost credit, an issue debt charities have been flagging for some time, was also top of their agenda with a well-evidenced review of the payday lending cap demonstrating its success. A need for further work on car finance, home credit and unauthorised overdrafts was also identified – which will carry into 2018. Credit-worthiness featured too – and we hope that 2018 will see the FCA being more proactive in the area of affordable credit. Most recently, the FCA concluded their work on persistent credit card debt, which while welcome, could go further. Away from the FCA, the Law Commission has proved to be an unsung hero of reform – with new legislation brought forward on the rather technocratic Goods Mortgages Bill. The FCA’s ground-breaking work on vulnerability from 2015 continued to spread to other sectors in 2017 – with the NAO’s paper into Vulnerable Customers in Regulated Industries making an important contribution. All of this has rightly resulted in increased creditor focus on vulnerability – in 2017 the Trust trained 4,378 staff in 78 organisations and published a guide to mental health with Energy UK. Vulnerability has been recognised in debt advice too – with vulnerable circumstances now addressed specifically on the face of the Financial Guidance and Claims Bill, and MAS commissioning research on how advice agencies address vulnerability. However, with the FCA’s latest consultation on its mission, is the agenda at a crossroads? We are very alive to the risk from proposed FCA definition and hope to work with the FCA and others to find an approach that works for everyone in the New Year. This year was also the year when Department of Health reviewed the debt and mental health evidence form, following work by ourselves, Money and Mental Health Institute and others. Watch this space next year…. The campaign for a statutory ‘breathing space’ scheme came a long way in 2017. The snap election saw a commitment to introduce breathing space in both the Conservative and Labour manifestos – with the government now working up how to implement its commitment to a six-week scheme. November saw the government compromise with peers over provision for a scheme through the Financial Guidance and Claims Bill – which has had the effect of giving a supplementary policy role for SFGB. The challenge now is to make the scheme effective as possible. While ‘six weeks’ appeared in the manifesto, we hope it’s not too late for the Treasury to reconsider this time frame, which simply is not long enough for many people to get back on the track to financial recovery. Crucially, public sector debts like council tax and benefit overpayments must be included if the scheme is to offer a genuine ‘breathing space’ for people seeking advice. Public sector debt collection more generally has continued to attract scrutiny this year. We are pleased to be represented on the cross-government Fairness Group looking at this for central government creditors, and to have worked with Money Advice Service to engage local authorities at our party conference roundtables and a series of successful officer workshops around the country. The Trust’s new Stop The Knock research, launched last month, has caused a stir – with more than 60 councils responding to our ‘six step’ recommendations already. One to watch in 2018. Proving that we really are stronger together, the sector has achieved some real successes through collaboration this year. Firstly, our joint Taking Control campaign for bailiff reform pushed this issue up the agenda. Now involving 10 charities – the campaign is the first joint report from the whole sector in some time. On an operational level, our work with other debt charities also continues. Building on our partnership with Citizens Advice, this year we have worked closer with StepChange, who are now sending self-employed clients to Business Debtline. With all this going on, it’s a surprise we’ve had time for much else. However, we have also published a guide for the sector on Nudging Tools for Money Advisers (one of two guides to support advice agencies on behavioural economics principles – the other published by MAS), and a related training course for advisers on this. Other new Wiseradviser courses included Water Debts, Charging Orders, SFS, Deficit Budgets and Peer Review as well as introducing webinars (which are proving popular with time-poor advisers). So 2017 has certainly kept us on our toes, but behind the media soundbites and statistics – and on the end of our phonelines – are the stories of thousands of people who know the stress of money worries first hand. In the meantime, I wish all of our partners in the sector a well-earned break – here’s to keeping it up in 2018!